The Beacons Way long distance path covers 95 miles over the wildest areas of the Brecon Beacons. There are four bunkhouses right on the route and another close by. 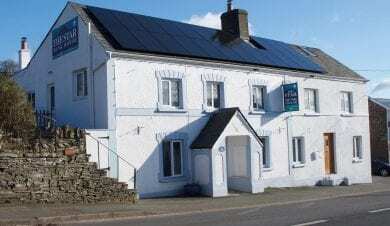 Hostels and Bunkhouses providing self catering accommodation on the Beacons Way. The Beacons Way long distance path cover 95 miles over the wildest areas of the Brecon Beacons. A truly glorious walk for those who are sure of their navigation skills. The path passes through the Black Mountains and east of the Breacon Beacons National Park onto the wild western Beacons where you walk under wide skies with no sign of humans and no roads.The route is waymarked where it crosses farmland, but there is no waymarking on open hills and moorland. In the official guide the Beacons Way is split into 8 stages, each a day’s walk. Walking from East to West you will arrive on the first night at Llanthony Priory. Walking from East to West the start of the Beacons Way is at Abergavenny Train station. A good base for the night before the walk begins is MIDDLE NINFA BUNKHOUSE, a 6 bed bunkhouse with camping 2 miles from Abergavenny. 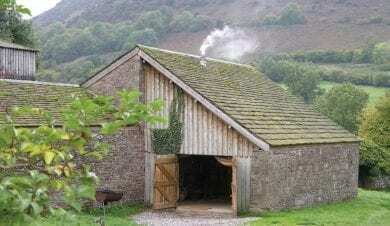 The first days walk will bring you to Llanthony Prior the location of THE WAIN HOUSE bunkhouse. A comfortable self catering bunkhouse within walking distance of two pubs. It sleeps up to 16 and is available for group bookings only. The second stage of the walk completes at Crickhowell. 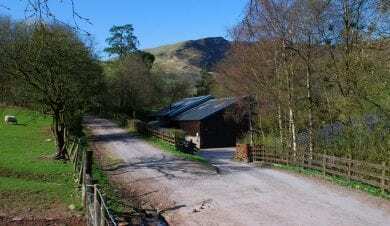 Three miles from Crickhowell (off route) is WERN WATKIN BUNKHOUSE also know as YHA Llangattock Mountain. 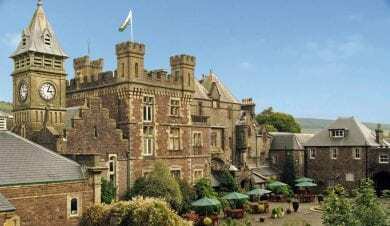 A pre-booked taxi can be used travel from Crickhowell to the bunkhouse. 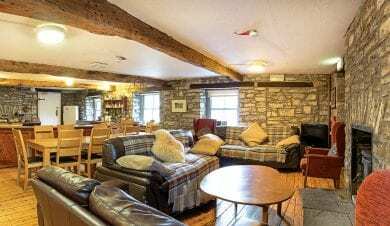 The STAR BUNKHOUSE at Bwlch is situated right on the Beacons Way long-distance footpath in the gap between the Black Mountains and the Central Beacons mountain range. It makes an ideal overnight stop on day three. The bunkhouse welcomes individuals, couples and groups and makes a great place to meet and swap stories with fellow travelers. For groups who are happy with a short fourth day and long fifth day the NT Bunkhouse near Libanus provides accommodation for the fourth night. DAN Y GYRN BUNKHOUSE provides self catering accommodation for groups less then 1km from the route, at the base of Pen-Y-Fan Mountain. Look out for places to cross the river ( Afon Tarell ) when planing your route. Centrally located near the village of Libanus you can enjoy panoramic views of the Beacons from a spacious, modern and fully-equipped bunkhouse. The fifth section of the walk completes at Craig Y Nos Country Park. 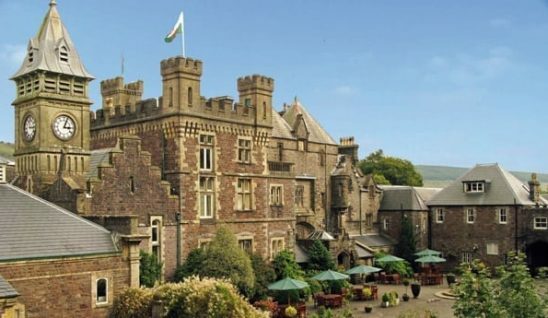 The country park was once the gardens of CRAIG Y NOS CASTLE, an usual building with a fascinating history. Unknown to many the castle has its own bunkhouse, providing accommodation in twin rooms with fully made up beds for up to 21 people. The bunkhouse can be hired for sole use by walking groups or a room at a time by individuals. It has some basic self catering facilities and the restaurant in the Castle provides lovely meals. Guests of the bunkhouse are welcome to spend their evening in the Castle Bar which has a huge log burner and stunning views over the river. Coming to the end of the sixth day at Llandeusant Youth Hostel provides ideal accommodation. The seventh day ends at Carreg Cennen Castle, where their is a tea room but no accommodation. DINEFWR BUNKHOUSE is 3 miles from Carreg Cennen Castle and a mile west of Llandeilo. A taxi can be arranged to collect from Carreg Cennen Castle and drop you to the bunkhouse . Dinefwr bunkhouse sleeps groups of up to 20 but also provides comfortable good value accommodation for groups as small as 4. The last days walk ends at Llangadog railway station with connections via rail to the start point of the walk at Abergavenny. Here you can view the location of all the bunkhouses ,hostels and other accommodation in the Brecon Beacons. The National Trusts Dan y Gyrn bunkhouse enjoys a spectacular location in the glorious Brecon Beacons. 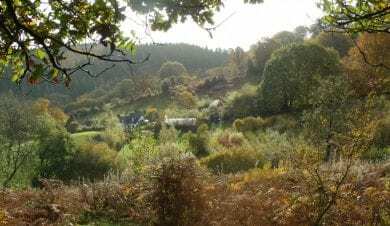 Nestled in the tranquil and verdant Upper Tarell valley, it provides a comfortable self catering group accommodation for walkers and families. Near the village of Libanus with panoramic views.